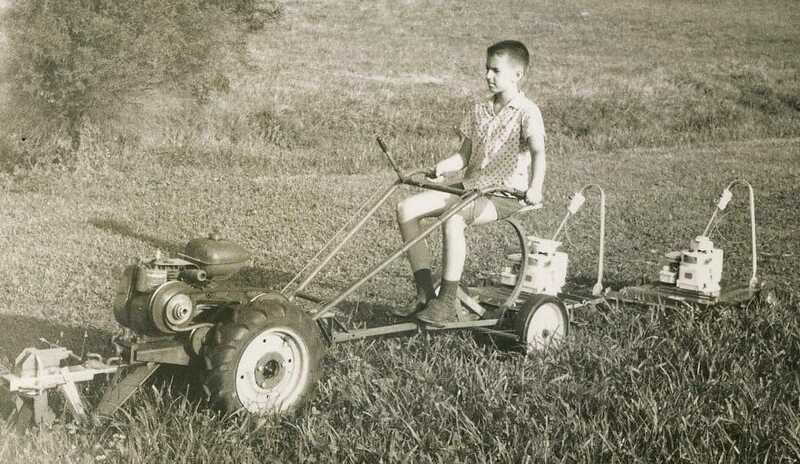 When I was a kid in Kentucky, we had 5½ acres… and it was pretty much my responsibility to keep it all mowed. 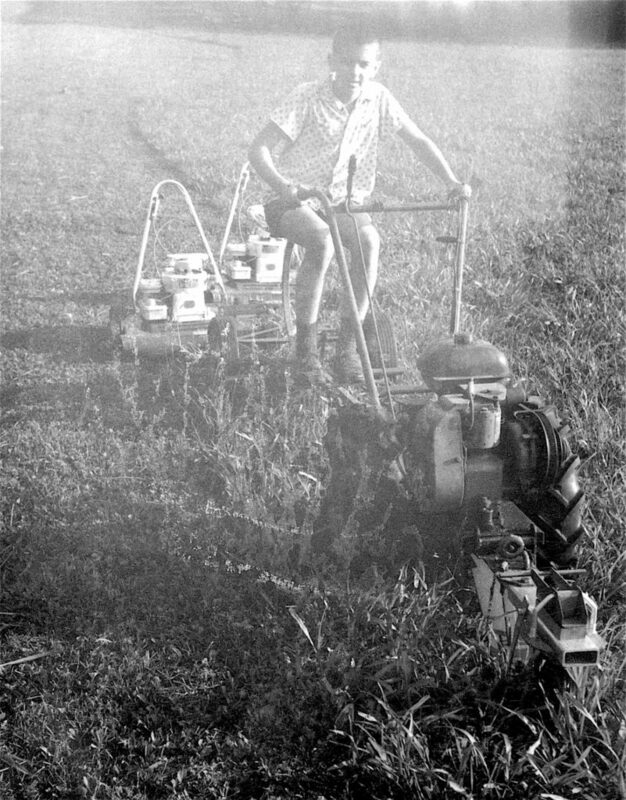 Our old Bolens tractor had a reel mower attachment, but it was awful… so my father (Edward H. Roberts) designed a rig that used the tractor/sulky to pull a pair of properly offset lawnmowers. 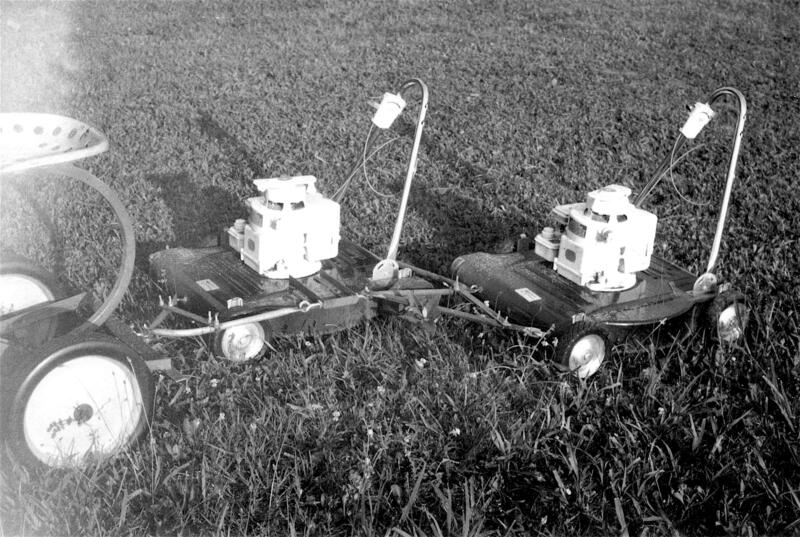 I spent many hours driving this around, and like to joke that it set the tone for my later development of Winnebiko II and BEHEMOTH (geeky bicycles with trailers). The photos above and below show me around 1964 or so. Good times. Well, not really. The novelty wore off quickly, and it took me away from my lab… but I still remember every bump and twist in that chunk of land in Jeffersontown, now overlaid with condos and other development.